Photonics Finland Pavilion will be organised in LASER World of PHOTONICS, the world’s leading Trade Fair with Congress for Photonics Components, Systems and Applications. This is the place where whole photonics value chain is present and of course all the international key players of industry! Photonics Finland Pavilion will be organised in 56m2 island space, located at Hall B3, 127. See fairgrounds map here. Laser World of Photonics 2019 page here. 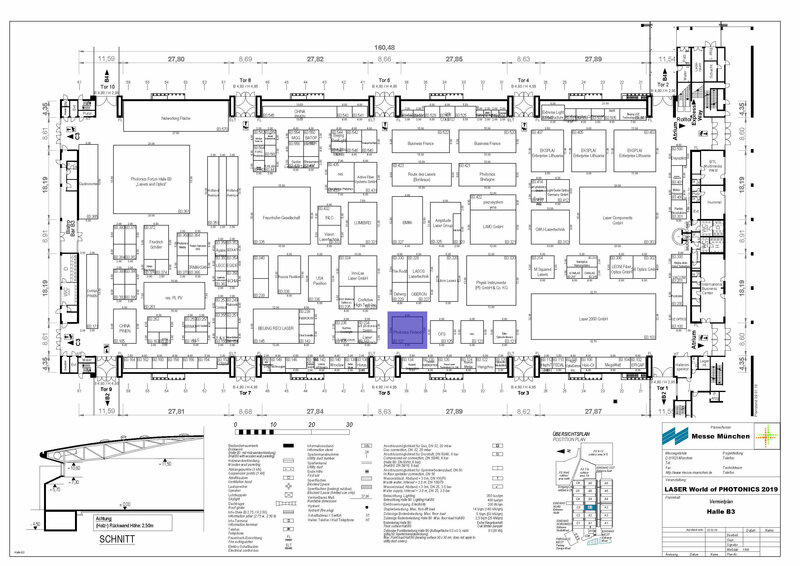 Hall B3 map, Photonics Finland Pavilion marked in purple. Registration for Laser World of Photonics 2019 – Photonics Finland Pavilion is open until early April! Seven companies already registered and only one place left so be quick to claim your place! For more information contact tuukka.pakarinen(a)photonics.fi or call +358 50 313 5930.